There’s something about creating your own holiday decorations that can make the season feel even merrier. The holidays are all about the experience, so we love to think of DIY projects as the perfect way to spend quality time with loved ones. What are some of our favorite ways to customize our holiday decor? Halloween is over which means it’s finally time to start thinking about Thanksgiving + all of those fantastic December holidays! 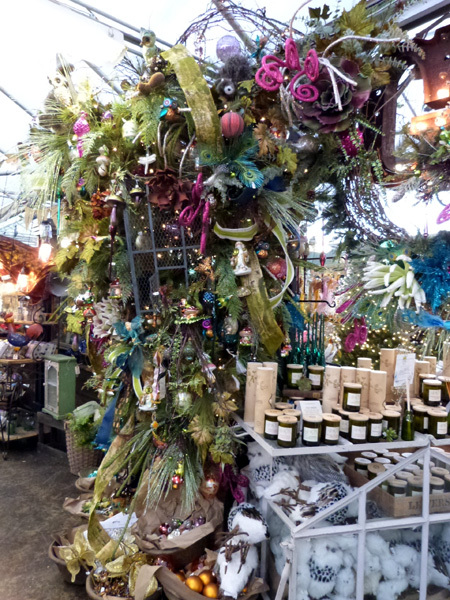 As we say goodbye to pumpkins, bats + spider webs, we can welcome in lush garland, ornaments + tons of holiday cheer. Want to deck the halls the right way this year? 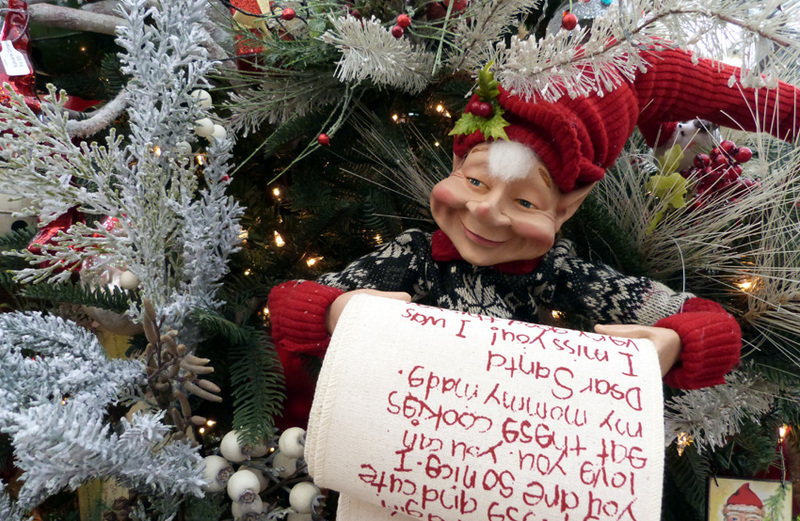 Check out these tips for decorating your home this holiday season. Get Ready for Our Holiday Workshops with Trevor Bey! 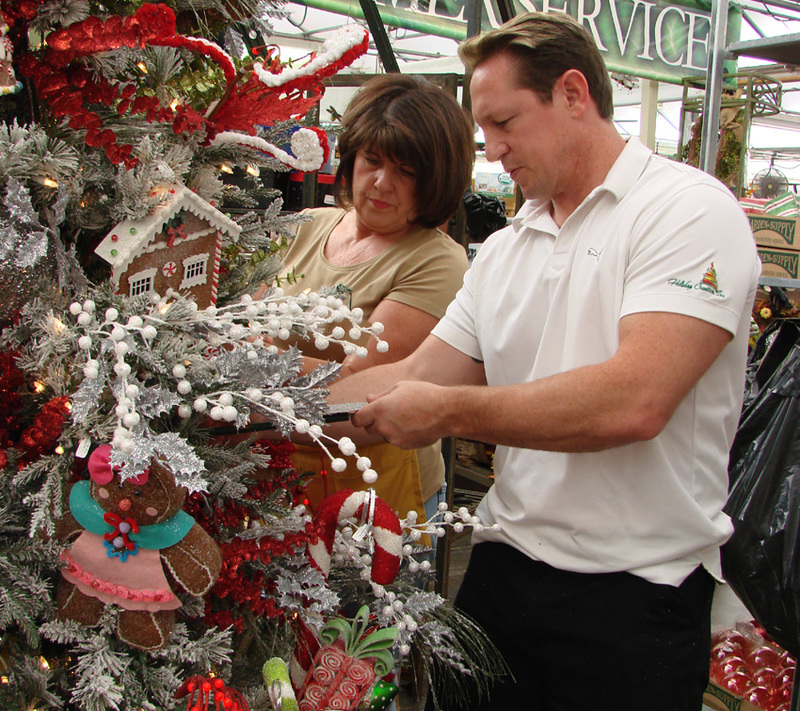 Don’t miss our upcoming Holiday Workshops presented by Trevor Bey from Holiday Creation, Inc! Want to rev up your holiday decorations? Ready to wow your friends and family with dazzling displays? 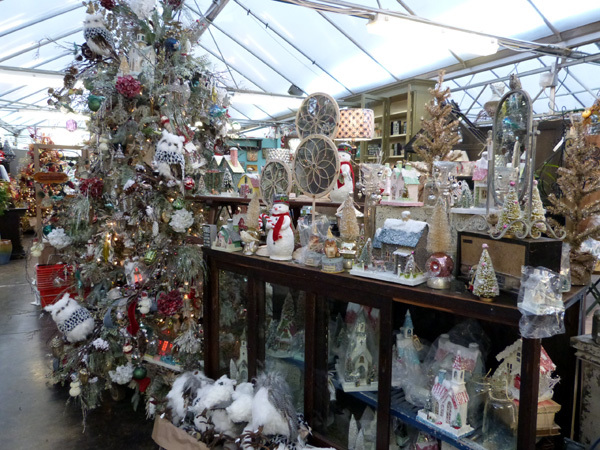 Trevor Bey is an incredible designer who can help you transform the way you think about decorating for Christmas. He’s an expert in his industry, having decorated public venues like Grove Park Inn in Asheville, the Panther’s Football Stadium in Charlotte, as well as a string of stores in the Bahamas as well as along the East Coast (including ours). He will teach you all the secrets of the pros! Trevor will be teaching a number of classes for us in October and November and the October ones are listed below. To sign up for a class, stop by the Garden Center or call 919-460-7747. Registration is open and spots are limited—so don’t delay, sign up today! For those of you who are skilled in decorating from taking previous workshops, this class is for you. Trevor's new and simple tricks of the trade add up to a whole lot ideas to decorate almost everything in your home. This "hands-on" workshop will cover ribbon and bow making, as well as the seven elements of design for decorating any style Christmas tree. Learn how to properly "fluff" your tree, shape picks and place prop pieces. Leave class with your own DIY bow and all the knowledge to decorate a designer tree this holiday season. This "Hands-On" workshop is all about learning the techniques to create simple swags and apply them to wreaths, bannisters, and mantels...from simple to elaborate, this class covers it all. Join Trevor for an all day workshop covering everything you want to know about professional holiday decorating. Trevor will cover the basics of putting together a beautiful tree, mantel, wreath, garland and he will show you the magic of the 5-minute bouquet. Lunch is provided. We are excited to announce this season's schedule for our much anticipated Holiday Workshops with Trevor Bey from Holiday Creation, Inc. This is our third year working with Trevor and he just keeps getting better - and more in demand. Among his credits are designing Christmas magic for public venues like the Grove Park Inn in Asheville, a string of stores in the Bahamas as well as the East Coast (including ours), and the Panther's Football Stadium in Charlotte. Trevor's ability to convey in easy-to-understand steps, how to decorate your home and Christmas tree like a designer is why we invite him back. We are fortunate to have him all to ourselves for a week in October and a weekend in November. This year we're offering more workshops with smaller class sizes so you have more opportunity for a "hands-on" experience. This "Hands-On" Workshop will cover ribbon, how to choose it, and why it is important to any design. You will make a bow, learn how to properly prepare and "fluff" your tree for decorating, as well as the key "Seven Elements of Design" for decorating any style Chistmas tree. You will leave this class with your own DIY bow, and the knowledge to decorate your tree like a pro. This hands-on workshop will cover several ways to "deck your halls" this holiday season. Learn the design elements to make simple swags and wreaths. Apply the same basic principles to create more elaborate garlands and swags on your bannisters and mantles. Elements of ribbon will also be covered. This intermediate level class will put the words "Do-It-Yourself" to the test! Bring in something you own which you would like to enhance for Christmas . . . A lamp, candlesticks, vase, etcetera, and we will help you create a holiday focal point using elements of design that you will translate to any room in your house. All morning classes will start with mimosas and muffins. Evening classes we will be serving wine and dessert. Workshop fee of $50 includes refreshments, $10 in Christmas Cash, and a one time 12% discount on your entire Christmas purchase! If you decide to take a second class, your next class fee is $40, and if you want to add the third one, it is $30. This "Hands-On" Workshop will cover "Trees 101" and "Deck the Halls"and more in a one day session with a catered lunch served in between the two classes. Discover several ways to deck your halls this holiday season. Learn ribbon and bows "how-to" as well as the "Seven Elements of Design" for decorating any style Christmas tree. Find out how to properly "fluff" your tree, shape picks, and place prop pieces. After enjoying a catered lunch, learn the design elements to make simple swags and wreaths and apply the same basics to making more elaborate garland decor for your mantles and bannisters. The "all-day" camps are $125 and designed for those of you want to "knock it all out" at once. Sign-up for all of our Holiday Workshops are open now. Please stop by the garden center or give us a call at 919-460-7747 to get registered.